*Get the freshest corn available, preferably picked that day. The leaves should be bright green and feel moist to the touch, and when you sniff the corn silk it should smell sweet. I prefer ears that are smaller in circumference, as they are younger and tend to be more tender. **This is a hard Mexican cheese that can be crumbled into a wide-holed pepper shaker. Ideally, the corn will be plucked straight out of the steaming pot and the cheese sprinkled on it, so that it melts a bit on the cob of corn. For a dozen ears I put out two sticks of butter and tell guests to simply rub the corn over the sticks of butter before adding other seasonings. If you’re serving a big crowd, melt the butter in a pan with sides tall enough to allow a cob of corn to be dipped into the pot. 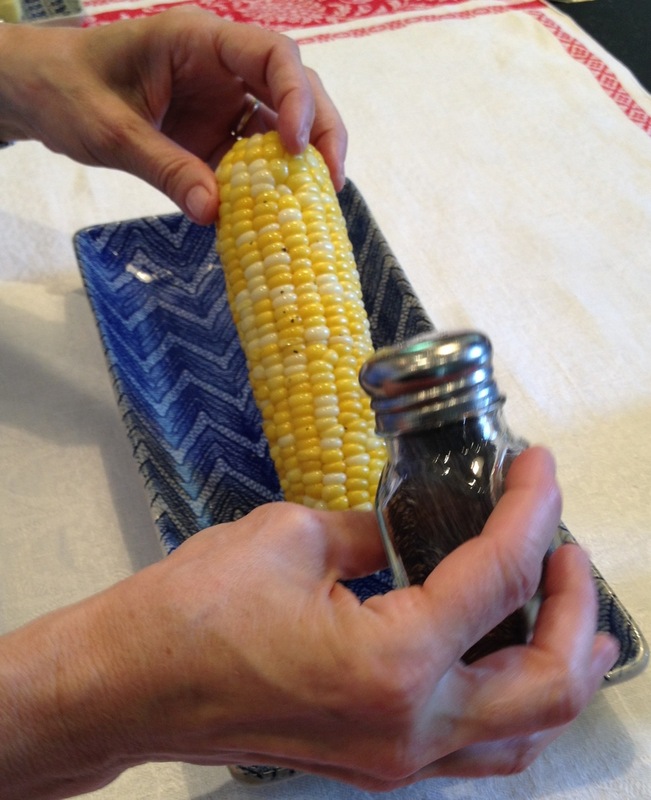 Slip corn into boiling water; cook for seven to ten minutes, depending on the size of the ears of corn. Corn picks are nice to have, but unless you’re eating in a more formal setting I prefer to do without them. They tend to get thrown away by mistake, and hey, corn on the cob is a naturally messy food. Part of the fun of eating it is having a devil-may-care attitude about the mess.